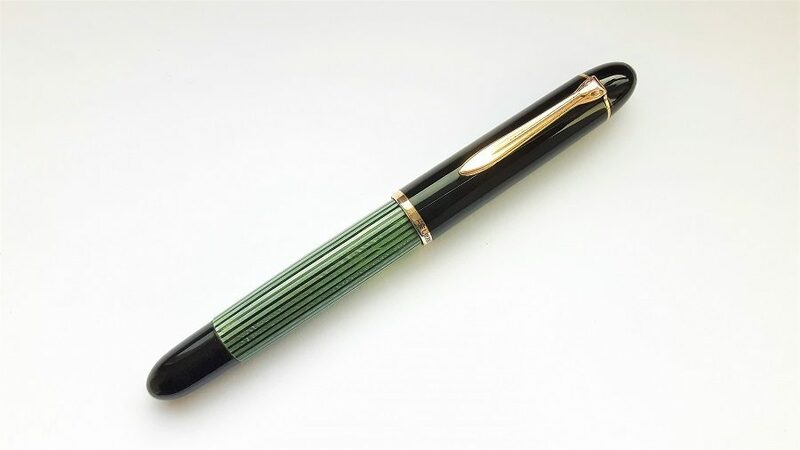 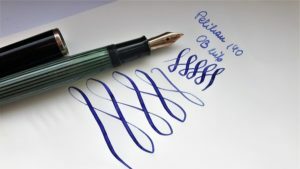 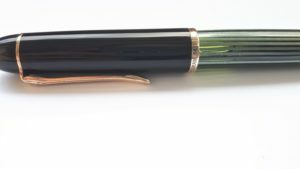 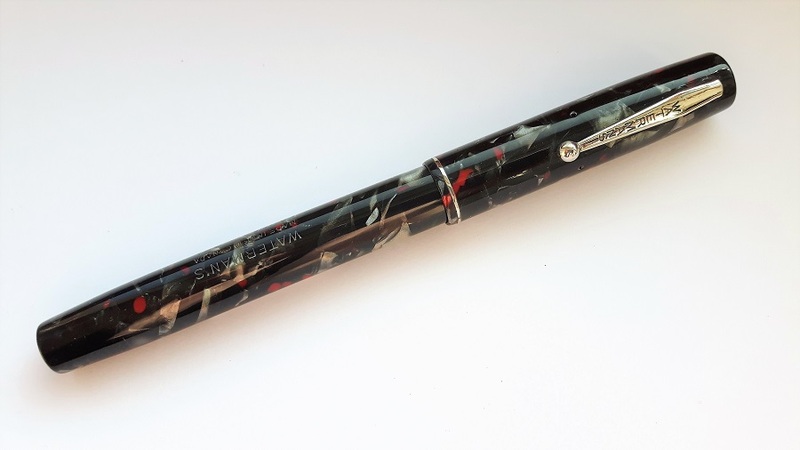 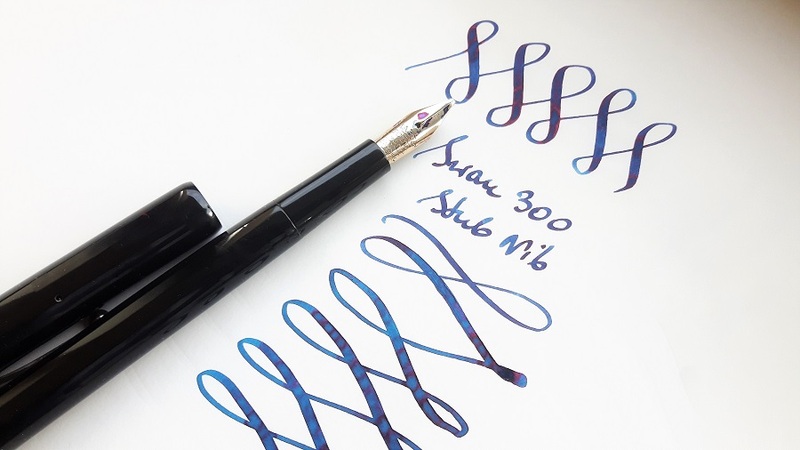 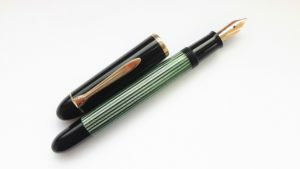 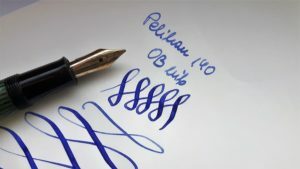 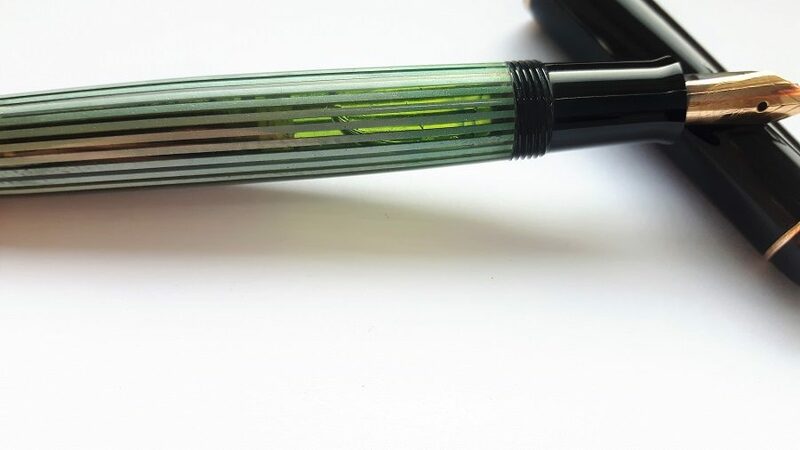 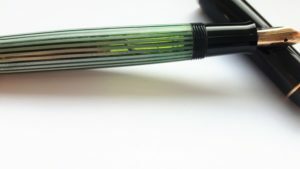 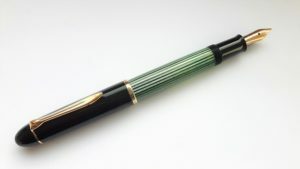 Pelikan 140, near mint pen with a very nice OB flexible nib. 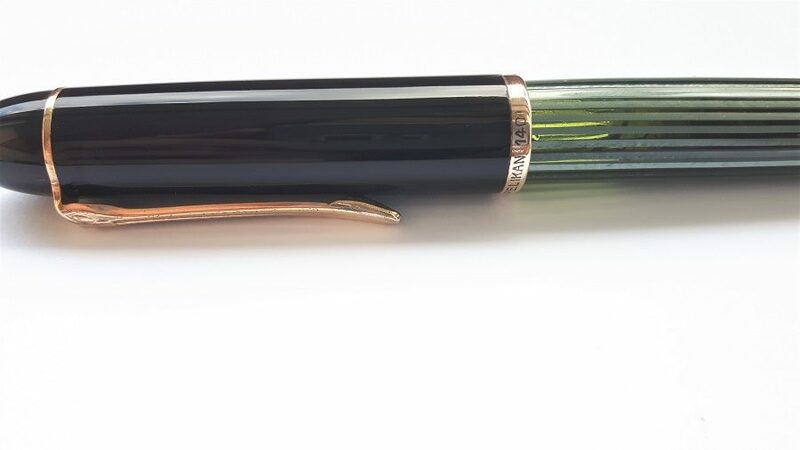 The only flaw is a very light scratch on the cap, please see the last picture – on the left from “140” imprint. 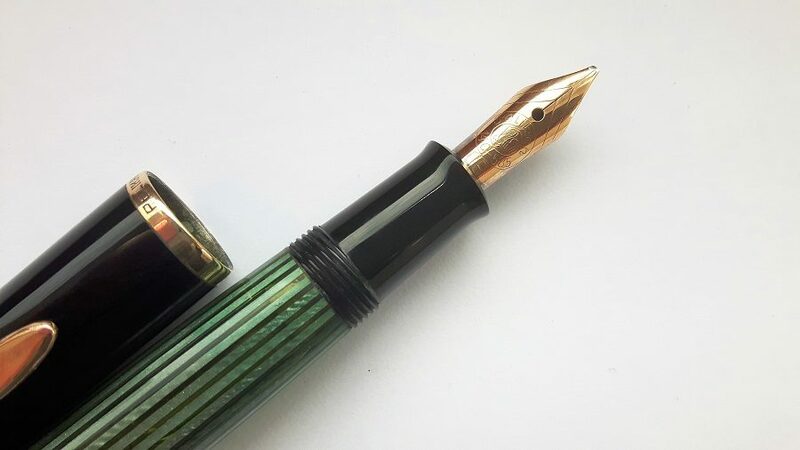 Otherwise perfect condition. Piston mechanism fully working.